The Lord’s Place’s Peer Specialist Program provides direct peer-to-peer services to chronically homeless Palm Beach County residents. 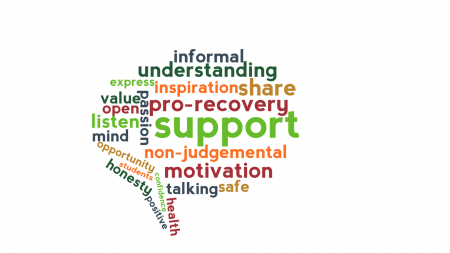 Peer Specialists are an integral part of recovery-oriented service delivery. Peers are individuals with experiences with mental health and/or substance use disorders who are successfully managing symptoms. Through sharing their history, they promote recovery among those facing current challenges. Peer support services are directly provided by those who have progressed to a phase in their personal recovery where they manage their symptoms and live fulfilling lives. The assistance they offer throughout other consumer’s treatment can help facilitate long-term recovery. Peers specifically aid in completing activities of daily living, development and implementation of coping skills, facilitate recovery plans, social integration, self-management of mental health and/or substance use disorders, and promoting physical and mental well-being. Peers aid consumers in accessing community supports. While working with consumers, peers draw upon their life experiences to promote hope, improved wellness, and long-term recovery. Peers are utilized both in group and one-on-one services. Peers work in a variety of settings, including clinical teams, integrated healthcare settings, day treatment programs, homelessness providers, and clubhouses.